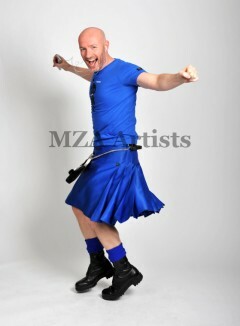 Craig Hill is Scotland’s brightest comedy star. Cheeky, irreverent and, of course, wonderfully camp, his hilarious blend of incisive stand-up, fabulous musical characterisations and improvisation has earned him rave reviews. He is one of those rare natural performers, with an seemingly effortless audience rapport. Craig’s warm and contagious personality, glorious comic timing and technically brilliant vocalisations all combine to bring a sense of joy to his performance. 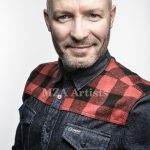 His superb ability to entertain and charm any audience, on any occasion, has established Craig’s popularity and excellent reputation in the corporate entertainment market. He also regularly comperes and headlines venues across Britain as well as touring his solo shows nationally and internationally and has five BBC TV series to his name. 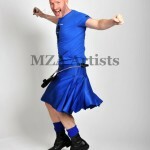 Craig Hill’s first public success came at age ten when he won a local talent contest in his native East Kilbride, impersonating the biggest divas of the day. He never looked back, going on to study Drama at Queen Margaret College, where his comedy characters as well as his ability to improvise new material led him naturally, but not directly, into stand-up. He was still an actor when a friend secretly booked him in for an “open spot” in 1998. So terrified that he had to be shoved on stage, it was his first ever comedy gig. The audience absolutely loved it—and so did he. Craig was hooked. 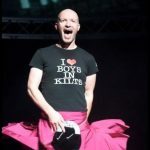 In 2018, Craig marks 20 consecutive years of solo shows at the Edinburgh Festival Fringe—an extraordinary legacy, further heightened by his remarkable feat of selling out his entire seasons. He has also been honoured to act as an ambassador representing all Edinburgh’s festivals (including the Fringe and the International) for gala events in New York and Toronto. He performed at the London Palladium stage in 2008 to a rapturous reception and the same year hosted star-studded, variety show, Forbidden Vaudeville, especially produced for Lord Andrew Lloyd Webber’s prestigious Sydmonton Festival. In 2017, he donned his wellies for the first time to make his Glastonbury Festival debut, and, in 2018, he headlined the Comedy Stage for the Paaspop Festival in the Netherlands. Already much-loved as one of the stars of the Sydney International Comedy Festival, Craig made his smash-hit debut at the 2012 Adelaide Fringe and has subsequently returned to Australia each year since to sold-out and acclaimed seasons at the Melbourne International Comedy Festival, as well as Adelaide, Sydney and Perth International Comedy Festivals, receiving rave reviews. Other international work includes Montreal’s Just For Laughs Festival where he hosted the prestigious Britcom series as well as Bubbling With Laughter and his storming gala performance, recorded alongside an all-alumni line-up, saw him featured on UK TV’s The Best Of Just For Laughs . He has also performed in Toronto, Paris, Madrid, Barcelona, Berlin, New York, Singapore, Amsterdam, Brussels, Ghent and Athens. He guested on Australian TV’s most popular panel shows Good News Week , Spicks & Specks and, each year, also stars on the Sydney Comedy Festival’s national (and usually televised) festivals showcase Cracker Night . In 2018, he makes a memoral and hilarious series appearance on BBC Ones’s Impossible TV quiz. 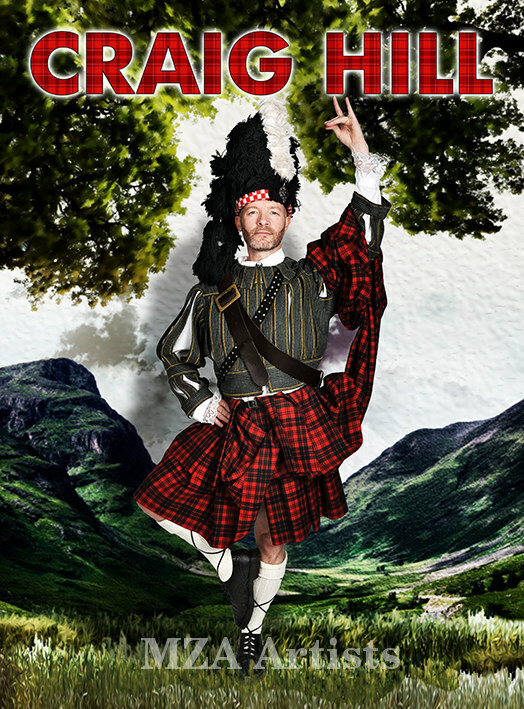 Each year, his latest Edinburgh fringe show goes on to successfully tour throughout the UK and internationally, his live tours consistently ranking amongst Scotland’s fastest-selling live comedy events. 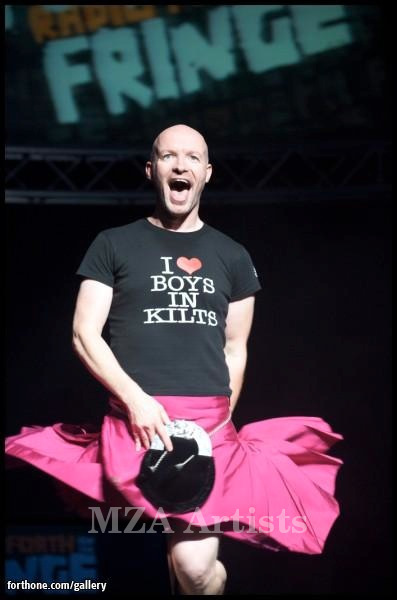 He regularly hosts the Hogmanay street party event in Inverness and is in great demand for corporate events. 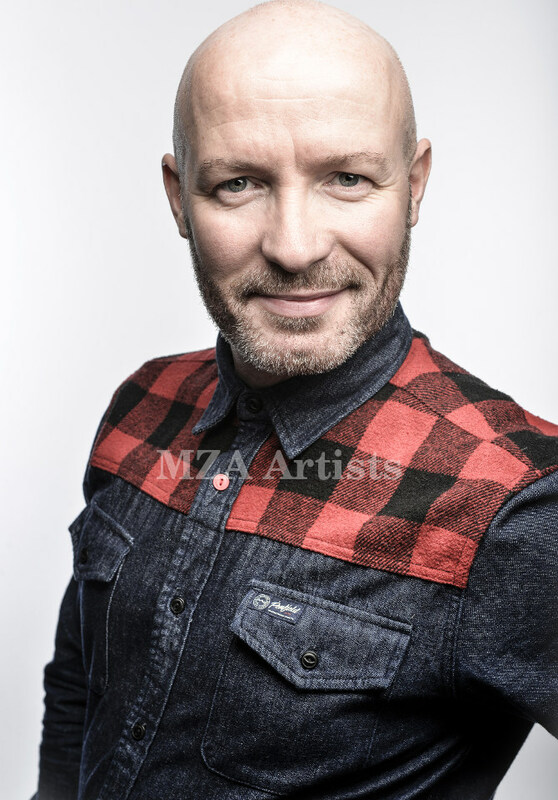 Craig is firmly and deservedly established as one of the country’s best-loved entertainers. Flat-out hilarious… I’ve not heard a room laugh so long and hard… There isn’t anyone better at working a crowd… the audience was in absolute paroxysms of laughter… He has a wide appeal and it is genuinely funny. It’s hard not to love Craig Hill… the man is funny, and not just a little bit… Hyper-kinetic… ad-libbing with the audience at breakneck speed… Hill never missed a beat as he bounced back and forth with people who took his bait with apparent relish… all to raucous laughter… sending people into hysterics… It was great entertainment and impressive to behold as Hill flew by the seat of his kilt for a solid 70-minute set… Longtime fans can rest easy; Hill might have played with his form but he hasn’t messed with his love of naughty-boy humour, which is as cheeky as ever… Riotous! 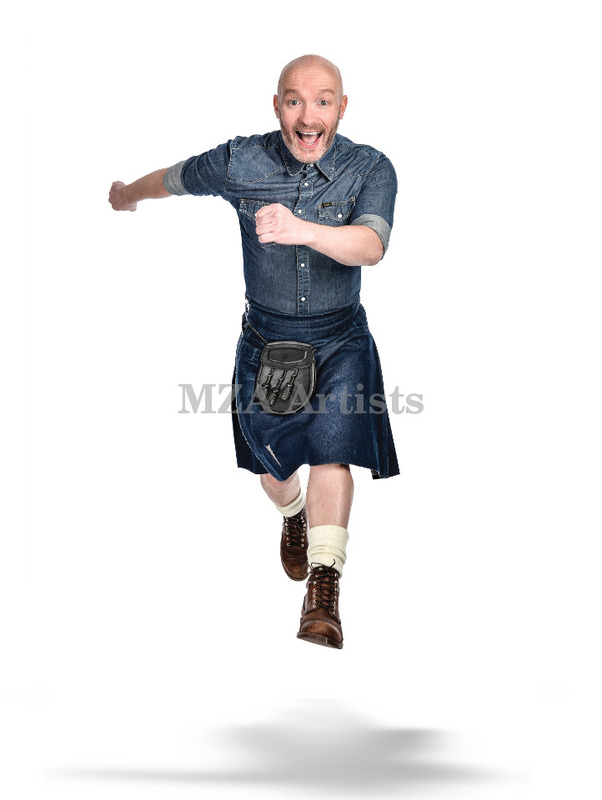 Hill had everyone in hysterics from go to whoa… This is one highland fling you’ll never forget! 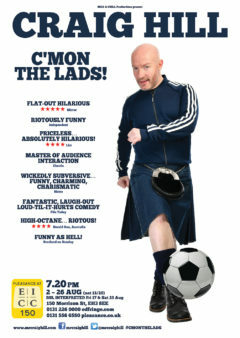 Wickedly subversive as well as risqué and rib-tickling… Craig Hill is one of the funniest men in Scotland. 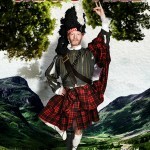 If you only see one show at this year’s Edinburgh Festival Fringe go and see his. You will simply love it. Riotously funny… his energy is boundless… He is that rare thing, a naturally funny comedian whose skewed expressions are enough to keep us happy. But he is also a terrific singer… tiny vocal masterpieces alone worth the ticket price. Class. Risqué, rib-tickling and absolutely screaming from the rafters… Hill actually has to wait until the audience stop laughing before he can start again. It’s absolutely hilarious…His across-the-board appeal to both the young and old is that his humour is—largely—family friendly. Obviously this is why people are wiping tears of laughter from their eyes. High-octane… Irresistible… An hour with Hill makes for a cracking show! Craig Hill live is a revelation…. 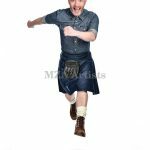 The patron saint of camp comedy… His spur-of-the-minute stuff, when he shoots straight from his kilted hip, is priceless… Hill is more of a Loony Toons cartoon character than a flesh and blood comedian… Akin to watching Jim Carrey dance the Highland Fling. An evening of no holds barred fun and wicked japes… Craig is hilariously naughty, an immensely talented mimic and a whirlwind of camp cheekiness who, by the end of the show, had the most reluctant and unrhythmic of his supporters out of their seats clapping and dancing. An absolute delight. Camper than a big camp of campers pitching up their pink sparkly tents, but funny as hell. 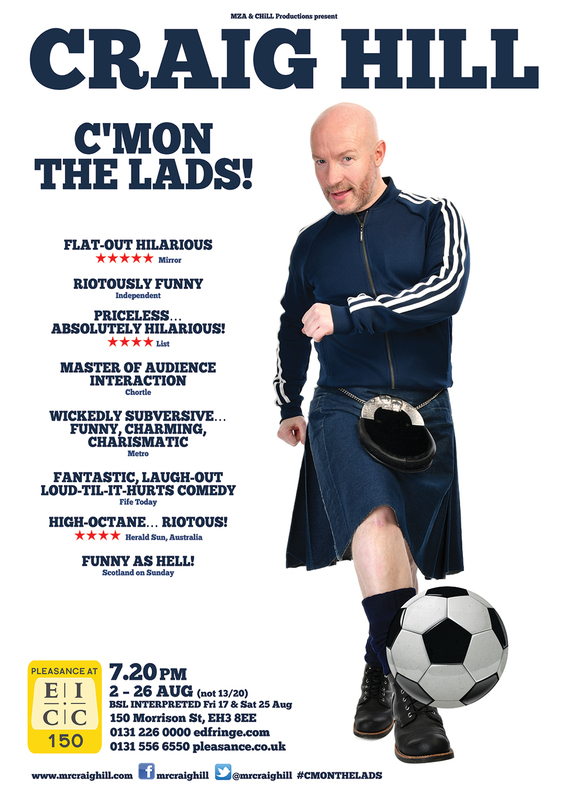 One of the most uplifting and hilarious things I’ve seen at this year’s Fringe… Talented, evanescent and exciting… See this show while you can! He’s a warm and wonderful traditional showbiz star and a master of audience interaction. He blew the roof off the full theatre… wonderfully smooth improvisation interspersed with fast gags. A show you wish would last forever… If you had to go to the same show every night of the festival, then this would be the one.